Welcome home in this 3 bedroom 2 bath 1508 total square feet home. It features granite counters, updated cabinets, with stainless appliances, tile floors in kitchen and hardwood in living and dining room. Both bathrooms have been updated with tile and granite in excellent condition. Home has newer window, newer exterior and interior paint and roof is 4 years new! This home is move in ready with a great deck and on large lot and RV Parking on the side. Nice over-sized two car garage. This home is only a few blocks from Lambertson Lakes and open space, walking trails and playground. It is a short 10 min bike 1-1.5 mile walk to Thornton Town Center where you can where you can catch a movie at theater, enjoy lunch or do some shopping or same time to Safeway at Lambertson Lake shopping center. 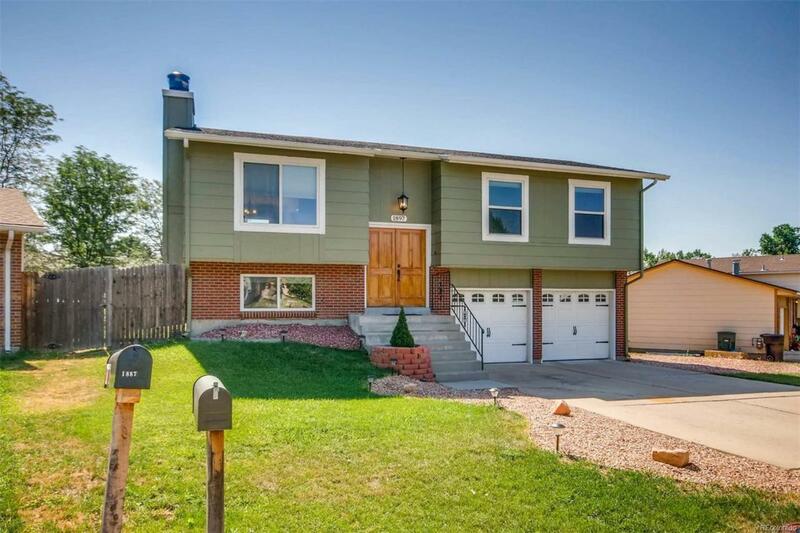 Easy access to the highways with short commute to Denver. Light rail being finished up only 1.7 mile to access.